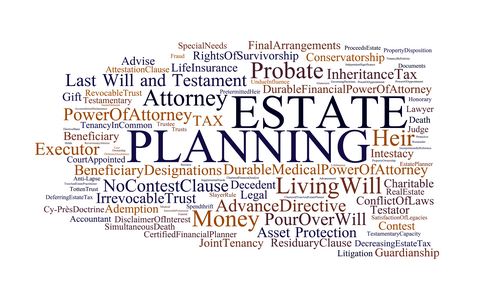 “Why do I need a will ? Everything is in joint name and there will just be another legal fee. Those @#!! !&** lawyers are all crooks anyway.” A not uncommon reaction when the question of estate planning is brought up. A will is always a good idea. You can determine who your executor (the person in charge of the estate) will be. You can provide that no bond be required. Bonding companies love administrative bonds (a bonding company’s assurance that the administrator – the court appointed person in charge won’t leave the country with all the estate assets.) 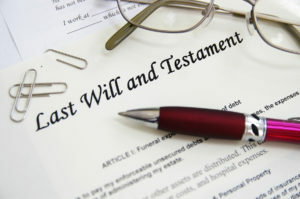 A self proving Will, properly drawn and executed , can assure the surviving spouse or heir that the executor need only show up at the Court House (Surrogate’s office) with the original Will, a copy, the death certificate and some cash ( I suggest $100) for filing fees and copies of Letters Testamentary (certificates that show the executor’s authority-good for 60 days.) No witnesses need appear and the clerk has an easy time probating the Will. This probate usually takes about a week. I recommend that the client execute three (3) or four (4) documents in the basic estate plan: the Will (which we’ve touched on briefly), the power of attorney, a living will and sometimes-if states allow it – a health care proxy. The power- of- attorney (PA) is a two (2) page document that allows you (the principal) to appoint somebody ( frequently a spouse) to act in your behalf in financial matters (the attorney-in-fact.) You can make decisions too. But you might be out of the country or on vacation. Make a dozen copies of this executed document. If the individual executing this PA is suddenly incapacitated, the attorney-in-fact can transfer or withdraw funds, buy and sell property and do just about anything financially. You can always revoke this PA immediately. It’s a crime for the attorney-in-fact to act after that. A Living Will, which is not probated –nor will it ever see a Court House- is signed by you before a notary (in New Jersey an attorney is a notary). You designate someone to act for you (normally while you’re in a hospital) regarding your health and physical condition. He or she can OK medical procedures and in general look after your health. Sometimes a jurisdiction refines this living will, by allowing you to make specific decisions in a Health Care Proxy (HCP) while you are in extremis. To put it bluntly –you have the power to pull the plug, If two (2) doctors say that you won’t recover at all for example, you may choose to suspend medical treatment; if you’re in a coma for three (3) months you can direct that medical treatment be stopped; if you’re declared brain dead- stop treatment. Can’t breathe without a respirator for one (1) month? Turn it off. You alone have the power under this HCP to say –enough! In today’s world of medicine, where human life is so precious, the paramount consideration is still to prolong life- even a futile one. There is always the hope for a miracle, that you’ll open your eyes under all those tubes and catheters and say,”Where am I?”—possible but totally unrealistic. Now that I’ve touched on Wills and Estates 101, I’ll try to deal with the thrust of this article: namely dealing with the payment of taxes after you’ve passed, and the nature of these “death” taxes. There’s probably nothing more irritating to most folks than taxes. We encounter them every day . I believe that it was Mark Twain who said, “There are only two things in that affect everybody—death and taxes.” We all have to endure those ubiquitous sales taxes; we all pay property taxes, in one form or other; almost everybody files two annual personal income tax returns (state and federal); then there is a corporate income tax; excise tax; gift tax; etc. etc. But there is one tax that only takes its toll on the very rich, but is universally condemned as a “death tax.” I’m talking about the Estate tax (ET) or Inheritance tax (IT) that must be paid after we’re gone. Most of my legal career was spent planning John and Mary Q Public’s estate to legally avoid paying the government a lot of money after their death. There’s nothing wrong with tax avoidance. The late legal scholar and Justice Learned Hand exhorted the taxpayer to avoid taxes – not to evade them. He classified “tax avoidance” as a taxpayer’s duty. With proper lifetime gifts, non-taxable life insurance and a will that takes advantage of government exemptions, a married couple could often avoid paying any federal Estate tax. State “death” taxes were often imposed , but the real bogeyman was the IRS. Some states didn’t even have an Estate or Inheritance tax. Florida comes to mind as one of these havens. Up until about 2003 the federal estate tax exemption was about a million dollars- not an exceptionally huge amount of money, but with sound estate planning it was quite feasible not to pay any ET or IT at all. Today’s exemption for a married couple is almost $11 million. Most of us don’t have anywhere near that amount of money , but for those people that do there is a relatively easy way of making annual gifts without paying any taxes. If you’re a married couple with three happily married kids and five grandchildren , you can gift $280,000 tax free every year. You and your spouse can give $28,000 ($14,000 apiece) to your children (their spouses) and grandchildren. If you want to make charitable contributions, make sure to donate assets that have appreciated in value over the years and not cash. You get the appreciated value of the assets to deduct on your income tax return; and there is no capital gain on the contributions. Before I get further into this discussion, let me point out the difference between “Estate Tax” and “Inheritance Tax.” This is probably most easily explained by way of example. Mr. Smith (the imaginary guy who will be the decedent) has a taxable estate of four(4) million dollars. Nowadays with a $5.3 million dollar exemption, he wouldn’t have to pay any federal estate tax, nada, nothing…He might have to pay a State Inheritance or Estate tax though-depending on the State where he is a resident. An estate tax is one based on the$ 4 million taken as a whole. Rates are universally graduated on either form of tax(ET or IT) e.g. 1% on the first $10,000; 2% on the next $50,000; 3% on the next $100,000; 4% on the next $500,000; 5% on the remainder. Mr. Smith has five (5) children, all over eighteen years of age . There is no Mrs. Smith. He divides his estate equally among all five children. Let’s assume that the IT rates are the same as the State ET. Therefore each child receives about $800,000. Under an Inheritance tax each child would be responsible for about $30,000+ in tax. Should there be an Estatetax on the $4 million, the result would be a whopping $270,000+- as opposed to the total $150,000+ under an Inheritance tax. The gist of what I’m saying is this: most people don’t have to worry about a federal estate tax. Consult your local counsel as to whether your jurisdiction has an ET or IT. Most people coming to seek ET or IT advice are married couples, worried about some faceless tax man coming in to seize the assets of the dead husband (usually the man dies first.) I’ll reserve this discussion to the traditional marriage between man and woman. Different states have different statutes about who may marry whom. There is also a new legal creature called a “civil union.” To give a quality discussion about what states recognize the validity of the marriage of a sister state is a topic which can’t be adequately treated here. When Mr. and Mrs. Married Couple seek estate planning, they usually have several things in common. They live in a house that is owned as a tenancy by the entirety. That’s legalese that just means that should (when) either spouse dies, the surviving spouse takes the real property automatically. It is not part of the decedent’s estate. Even if the dead spouse passes without a will, (intestate to you non-lawyers) the surviving spouse takes sole ownership. The property solely in the decedent’s name will pass according to the will of the decedent. Caveat: In most jurisdictions , a spouse may not totally disinherit the surviving spouse, The man usually dies first so I’ll stop using the correct term of “surviving spouse” and refer to the survivor as “widow.” The widow is usually entitled to one-third of the probate estate. This “probate” estate can be small. Life insurance where the beneficiary is the widow and can’t be changed are non-probate assets. So are joint bank accounts and most securities in joint names. IRAs are usually governed by the terms of the instrument governing the IRA. There’s a legal formula showing exactly how much the decedent must bequeath to his wife absolutely to meet the statutory minimum. Sometimes a problem can arise about the interest that the widower might have owned in a business, The widow certainly doesn’t want it. Her husband usually handled the business that supported them. I don’t mean to sound sexist here. Many a surviving widower has no concept of his late wife’s business dealings either. The solution to this problem is normally been provided for by estate lawyers who arrange for life insurance to be taken out by the deceased, paid for by the business, whereby the value of the deceased ‘s interest in the business is paid to the widow by the insurance and she transfers this interest to the business (normally the surviving partners or shareholders.) If it hasn’t already been done, do it! Sometimes the individuals that seek advice on estate matters are relatively young-fairly prosperous folks who might have made their fortunes before the age of forty. It is never too early to plan for one’s estate. Always remember that a relatively young widow or widower is very likely to remarry and start another family. It is for this reason that a testamentary trust should be created in a will which provides for the health, education and welfare of the children of the first marriage. It is always sad to see the child of a first marriage relegated to second class status by a new marriage and a new spouse who has no interest in the first child. Sort of sounds something like Cinderella doesn’t it? I’ve already tried to assuage the qualms of the average or even above average taxpayer who has nothing to fear about the dangers of post death taxes. However there are many of the super rich who understandably don’t want their estates to pay any taxes. They worked hard for these assets and feel that they shouldn’t be confiscated by a faceless government that might spend these funds on programs that they don’t support. It’s logical for these people to make an effort to eliminate the federal ET. The revenue provided by the ET is comparatively small- dwarfed by the monies that come into the US coffers via the income tax. There is a stirring among these individuals to convince the average taxpayer that the ET should be completely abolished. Everybody hates taxes. But most of us are usually indignant about paying those taxes from which we receive no benefit. A single person like myself without children balks at high property taxes which will be used to pay for schools that will only benefit me tangentially-if at all. There is a strong argument to be made for the super rich like Warren Buffett and the Koch brothers. Their estates are easily in the 40% bracket (the highest.) Not to mention whatever state ET or IT their estates need pay. The way the estate tax law stands now, a decedent worth $50 million (Buffet and Koch have incredibly more), passing his assets to his children will have to pay about $20 million to the IRS. Bequests to a surviving spouse are completely non-taxable. So are charitable bequests. Robert Woolsey was a Trusts and Estates Attorney for forty years in New York and New Jersey. He’s written two books: Husband In Waiting and The General’s Briefer. After a year as a Fulbright Scholar in Germany, he received his J.D. from U.Va. He gave oral briefings to the head of Army Intelligence at the Pentagon, leaving with the rank of Captain.